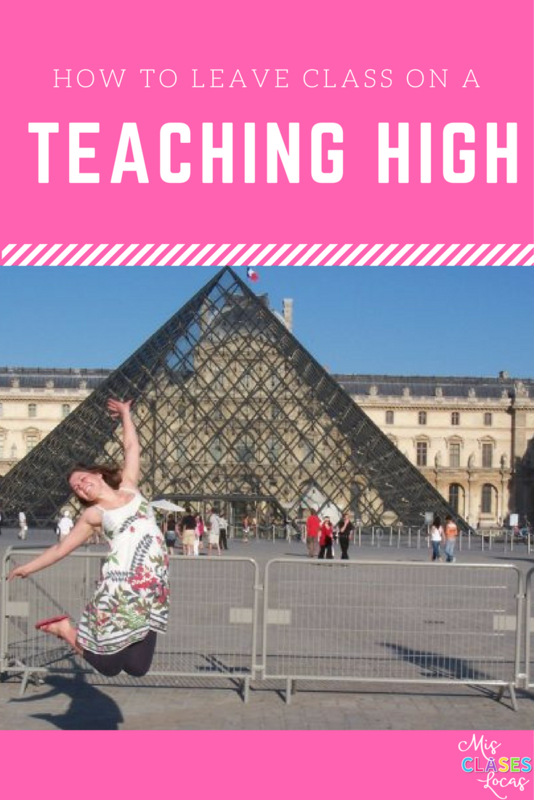 Have you ever been on a teaching high? 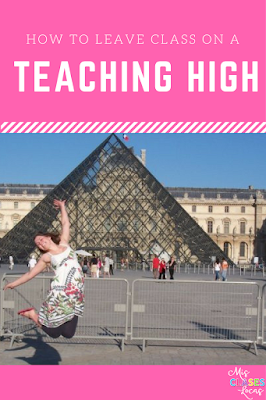 Have you finished a class that completely exceeded your expectations and you literally feel like jumping for joy. (Or running down the hall to tell your teaching bestie). This was me last Friday. What makes it 100x better, is that is was "that class." The class that has stretched me in new ways, who pushes back daily, and is my logistical puzzle of accommodations and large size. The class that was my reason to try going deskless, because I did not know what to do with them anymore. (By the way, going deskless is still going great and I think has a lot to do with our successful class). 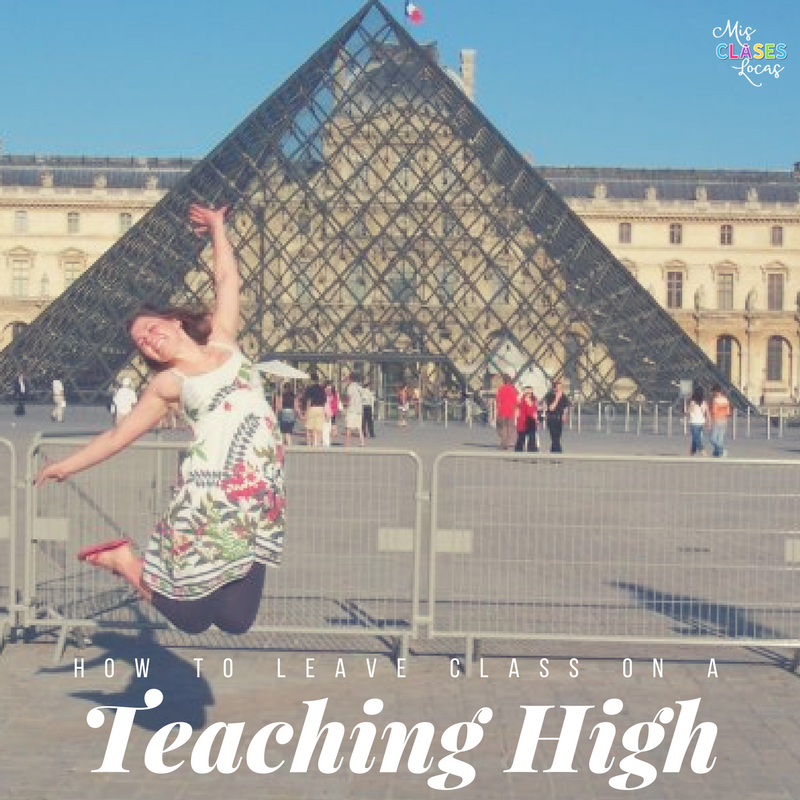 I do not have a secret formula for having a class that ends on a teacher high, but I can break down some factors that I believe helped to contribute to moving "that class' in a positive direction. Getting feedback (especially from a difficult group) is a great way to see your class through the eyes of the students. When I remember to do it, having students do a quick Friday Feedback from the Creative Language Class is very helpful. Even if I do not use the specific form, sometimes after an assessment I will have students give feedback on the back of the sheet about the unit. I ask them to write what they liked, what they would change, what activity helped them learn etc. I let them do it in English because it is about the content, not the writing in Spanish. I want them to be able to be honest and not get bogged down in the language. A couple of weeks ago I got feedback from this class and 90% said they loved doing the class story. The thing was, I thought the story went horrible. I had to give a lecture about expectation before starting and we planned out all of the characters and places in advance since I knew they were in a blurting mood. Even though the story did not have the flow I was hoping for, they enjoyed it and thought it was the highlight of their week. This gave me important feedback that the majority of this large, energetic class wanted to do more class stories. I adjusted my plans accordingly. Just know that if you request feedback, you have to have a thick enough skin to not take what they may tell you personally. For example, in the same group of feedback above, I had One student who said "story was stupid, I like worksheets." I shared this quote on twitter and got some great responses from other teachers who really put it into perspective. They related to having similar students, and someone mentioned that this particular student most likely did not like that he has to actually engage in class. It is pretty much impossible to completely disengage during my class, which some students find frustrating. This feedback reminded me that I need to make sure to allow for quiet, alone, processing time, and not just all full group activities for this stuednt, as well as the others who would not tell me. When I got back from maternity leave this Spanish 1 class did not follow the Martina Bex SOMOS curriculum I had left at all. Instead they started with the Realidades textbooks from storage. In my original plans, they were supposed to do SOMOS units 4-9, since we did units 1-3 last year in 8th grade exploratory. You can see my tentative curriculum plan here. Since writing that post, I realized that we needed to go back to the basics. 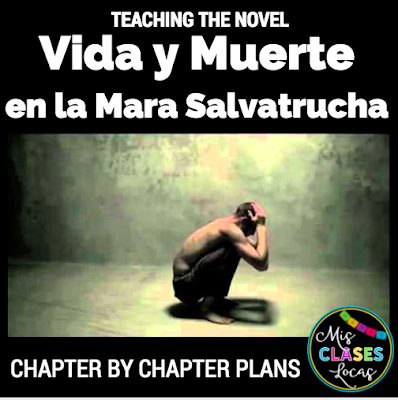 Right when I returned from leave in November, we jumped into the novel Tumba, because that is what I had planned for, and I wanted to keep it in the fall to work with Day of the Dead. For their first novel, it actually went pretty well, but there were a few that obviously struggled. When it really hit me that we need to go back to the basics was while doing the Navidad and 3 Reyes readings that I use every year in Spanish 1. They STRUGGLED. There were many high frequency words that kept coming up that even the high flyers did not know. So after Christmas break we went back and started with unit 5, because it is one of my favorite cultural topics, bullfighting, and focuses on the verbs goes, is feeling, and has, which are 3 of the Super 7 high frequency verbs from Terry Waltz. I think it was the right choice because the students are doing much better with the high frequency structures and were very into the bull fight, especially since I showed them all of my pictures from when I went to one while in Spain. We are going to keep. We have been moving forward completing units 6 & 7. After that instead of reading Robo en la Noche as I originally planned, we are going to keep building confidence and read Brandon Brown Quiere un Perro. As I have heard many times, you can not read a novel that is too easy. There is no point chugging ahead with curriculum as the conductor when the rest of the train is not even attached. I realized I needed to stop, repair the train, and make sure everyone in on the same track, so we can move together as a team. With a solid foundation of the basics, we will just keep breaking down. You would think since I blogged about using brain breaks, that I am really great at consistently using them. Wrong. During that awesome class we stopped and did a quick Sra. Dice practicing unit 6 vocab such as "sit on the floor" "lift your friend," etc. It really helped to move successfully from our mini story that started class to our 2nd main activity. my goal is to actually plan and implement them each day in this class. Unfortunately, even though we are moving in the right direction, not every class ends on a teacher high. In fact, I started this post immediately after that class in an amazing mood. I am now coming back to finish it a few days later after a sub par experience with the same class. Their ability to get off task literally only takes 10 seconds of freedom, so I have to be ON my game with solid plans every day. Even though we still have a ways to go, we are moving forward in a positive direction. 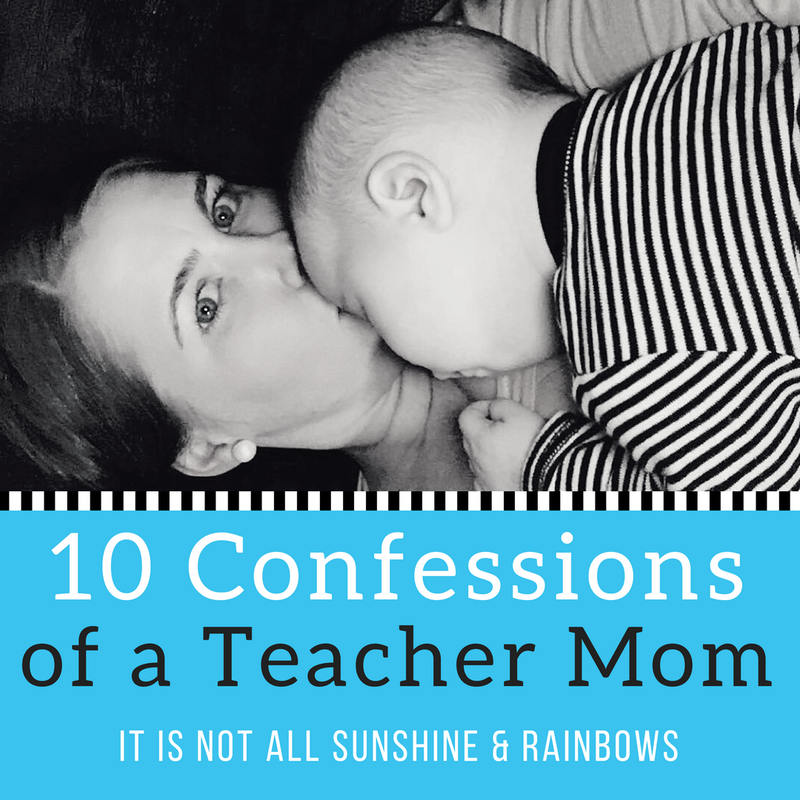 if you are struggling with "that class," I suggest you get feedback, go back to the basics and make sure to allow for brain breaks. What are your management secrets? Please share in the comments! 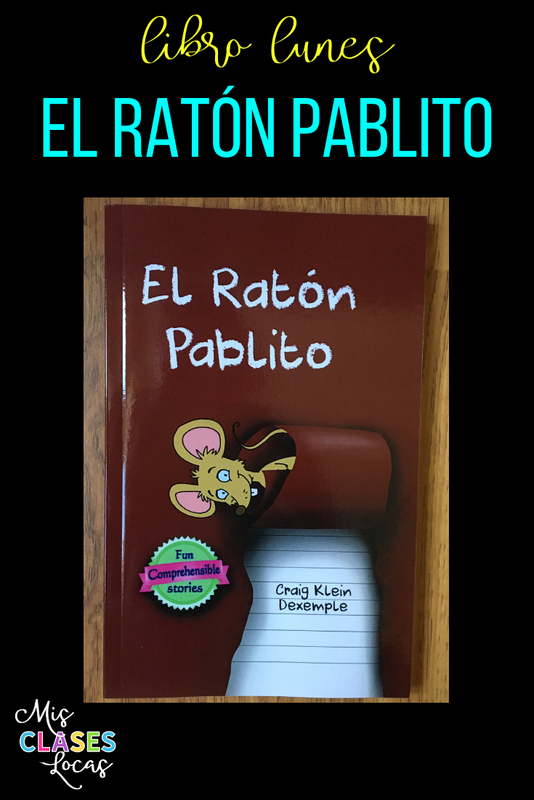 Inside: El Ratón Pablito a book you need for your Spanish class library. This past summer my friend Craig, a fellow Iowan, asked if I would be willing to read through a project he has been working on. I gladly volunteered, since I love his other books and materials. 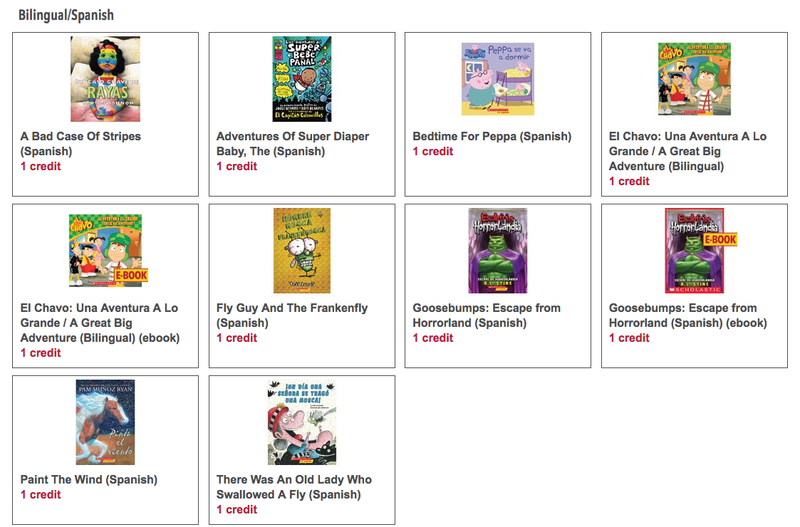 After reading El Ratón Pablito, I KNEW I needed multiple copies for my Spanish classroom library. This book is actually a collection of fun and comprehensible stories. Each chapter is its own short story, with the mischievous Pablito showing up to weave them all together. There are many pictures, which aid in the comprehension and give it almost a graphic novel feel. You have the option to purchase it in color or black and white here. I have black and white, but may need the color one as well! 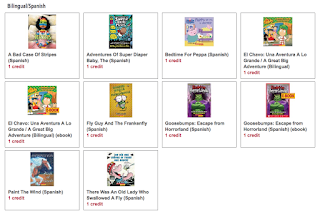 We start class with choice free reading on Tuesday and Thursday in all classes from my classroom library. We began for the first time in Spanish 1 in November and this book has been a favorite in both sections. After 5 minutes the first day, the student reading this book asked if they could have five more minutes!! Twist my arm! Students have told me that they like El Ratón Pablito because they can actually finish a complete story or two in one free reading session. 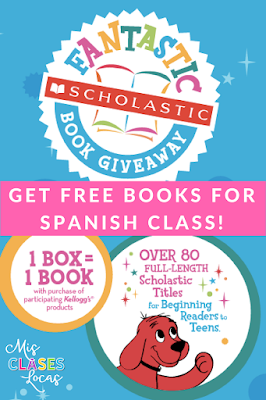 This gives novice readers confidence and shows them that they Can read in Spanish alone. The glossary in the back of the book allows them to look up any unfamiliar words on their own, and the pictures provide additional support. 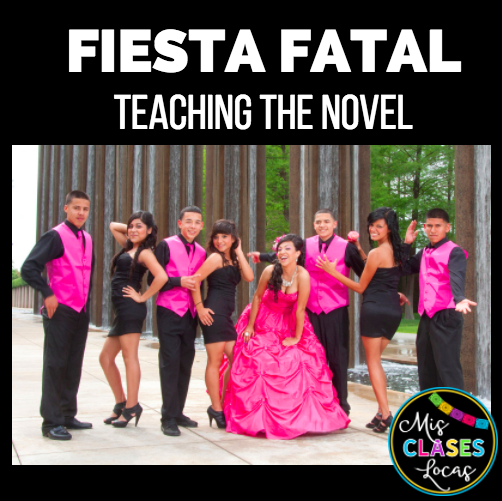 Besides free reading, I could see this novel used in many ways in novice Spanish classes. Students get to cozy up on the floor with blankets and pillows and be read to. This could be a regular Friday treat reading one story per week. I don't usually like to break up reading a book, but since each chapter is it's own story, they would be understood on their own. Many of these stories also have amazing animated videos retell the story. These videos can be found here. An example can be found below. If you would like to access all of the videos, you can pay a very small fee for a membership for a year, which would be well worth it for teaching the book. The combination of story and video could be its own mini unit. There are even target structures mentioned in the video that could be focused on. The videos could be used Movie Talk style in class, or give extra visual and audio support and repetition of the story. With a class set of novels, this book would be amazing for a novice full novel study. Craig actually teaches K-8 Spanish, so this could be used in elementary, middle school, or even high school Spanish 1. As soon as I can get the funds, I want to get a class set for my novice students. Additionally, some of the chapters are centered on rich culture such as La Tomatina, Bull Fights, Day of the Dead and more. These could be expanded on into their own mini cultural units as well. Finally, my students think it is pretty awesome that their teacher is on the back cover suggesting the book. Thanks Craig for another amazing resource for Spanish class! Would you like more book recomendations and novel resources? 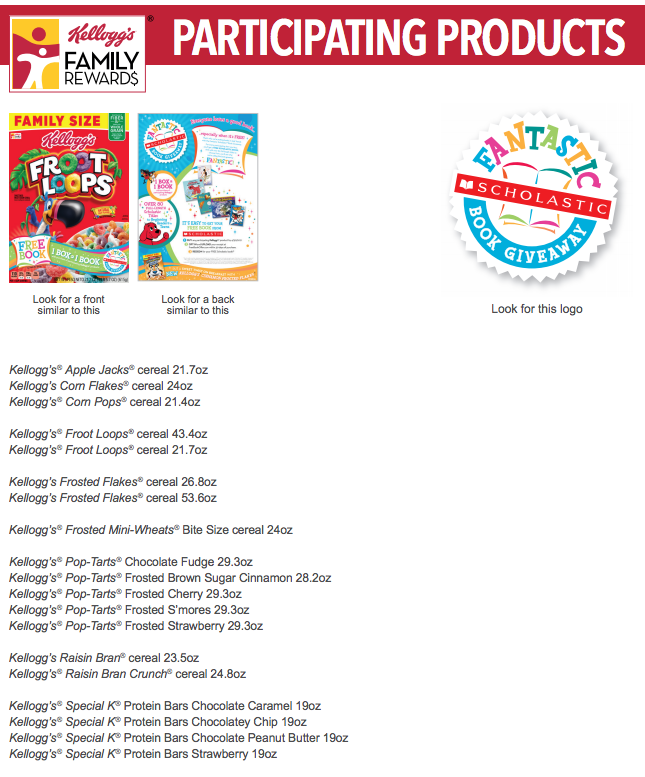 I blogged last summer, last year & the year before, about how to get free books for your classroom from the Kelloggs Family Rewards program and now it is back! (No I am not a sponsor of these products). This year the packages must be from Walmart, but 1 package gets you 1 free book! The instructions can be seen above. 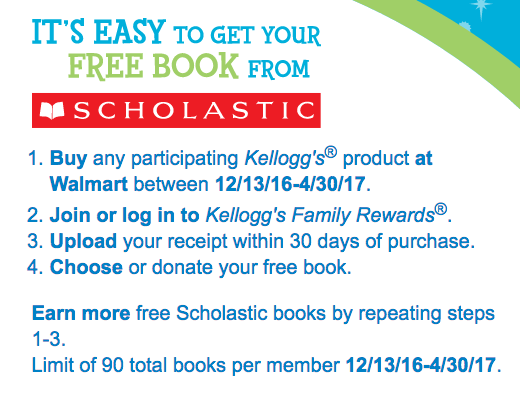 By uploading a receipt from a specially marked Kelloggs product from Walmart you get a free book. How can you get many free books? 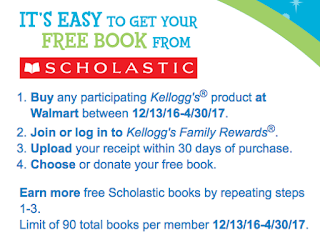 Put a blurb in your school newsletter or facebook page for parents to save any WalMart receipts with participating products. 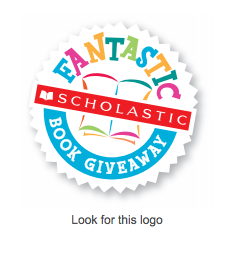 Just make sure the book has the "Fantastic Book Giveaway" logo on the front (below), or you will just not get a free book. Below are the participating products this time. Just make sure they have the logo above on them to get the free books! You can also donate the books to a school of your choice.